Covent Garden has always been a fantastic blend of the local and the glamorous. 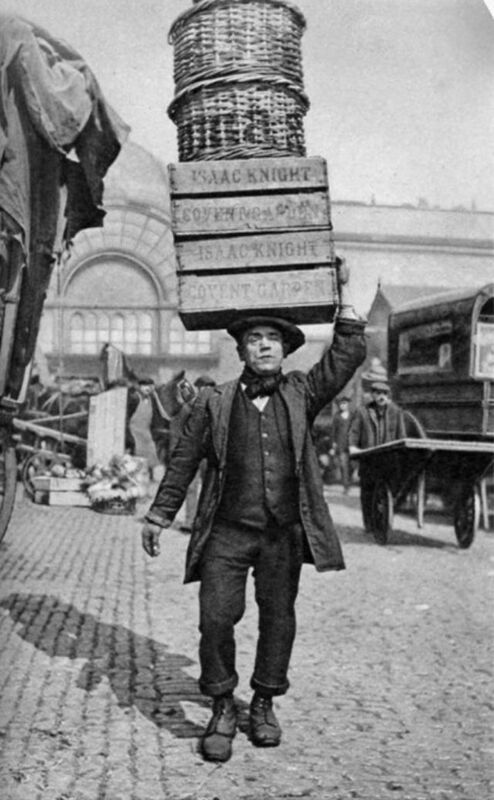 It was one of London’s first squares and developed as London’s principle veg and flower market. The piazza was designed by Inigo Jones in the 1600s, with the fruit and vegetable market emerging around this time. 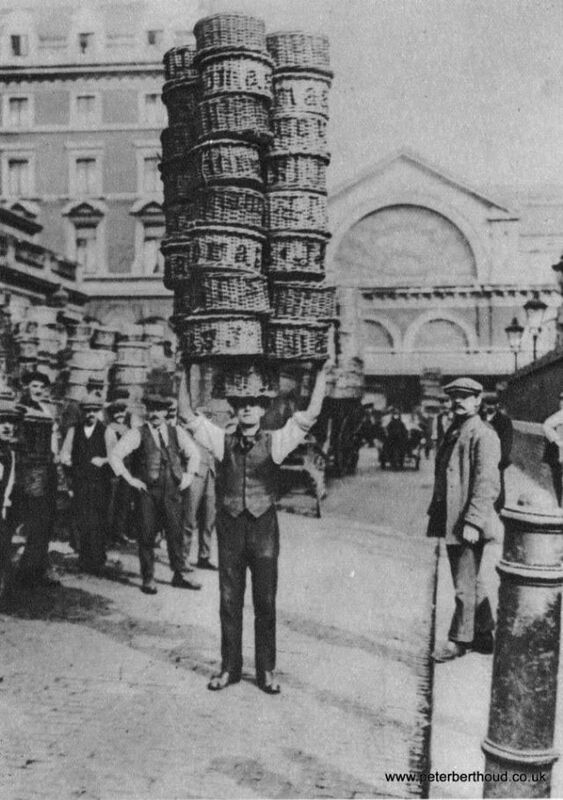 The main market hall was built in 1830 and still stands today - though the fruit, vegetables and flowers have long since disappeared. The market was moved out in the 1970s. 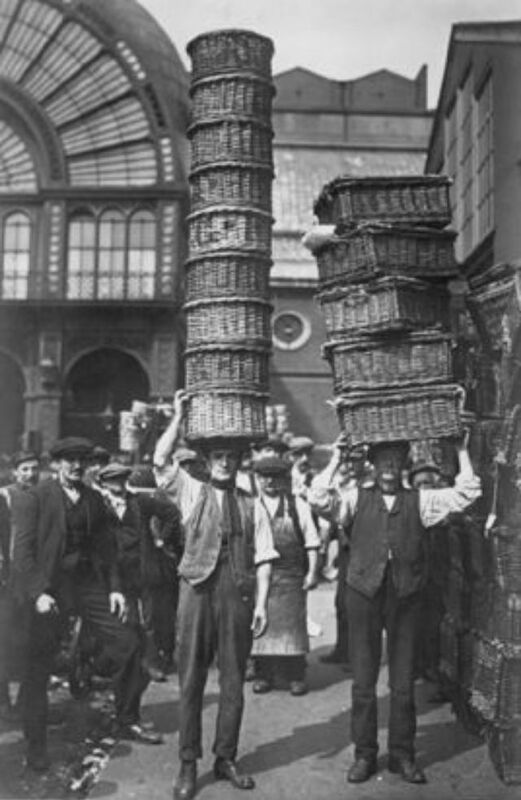 Once a year in the market the porters would load their potatoes onto the lorries, and when they finished work, they’d have races with baskets on their heads. The man who had the most baskets on his head and didn’t drop them won the race. 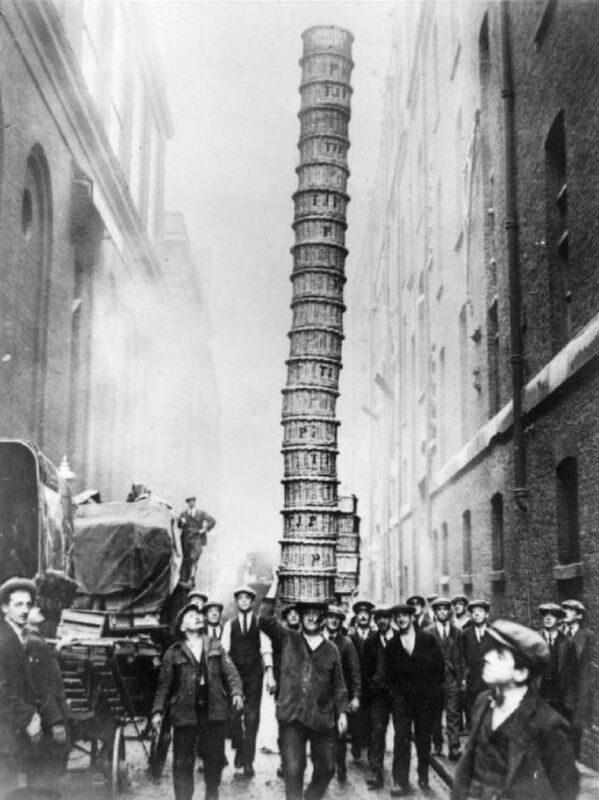 Below are some interesting vintage photos of Covent Garden porters in the 1930s.